Risk management is often confused with risk mitigation, but risk mitigation is only one of the many methods to manage risk. As a project manager, I see risk management as one of the great pillars for managing any project. I believe that project management is a lifestyle, not just a profession. Therefore, I presume that risk management principles can be applied to anything; from managing complicated translation projects to planning events and navigating obstacles in your personal life. Risk management is defined as, “the identification, assessment, and prioritization of risk followed by coordinated and economical application of resources to minimize, monitor, and control the probability and/or impact of unfortunate events or to maximize the realization of opportunities.” The objective of risk management is to assure uncertainty does not deflect the endeavor from the business goals. Risks can originate from internal or external factors, and although risk is often associated with threats or negative outcomes, sometimes it is associated with positive events which eventually turn into opportunities. 1) Avoidance: This approach eliminates the risk by avoiding it. For example, turn down a task or a project, if the risk likelihood is greater than the benefit and this risk cannot be managed. 2) Mitigation: This approach reduces the impact of the risk when it occurs. For example, setting concrete contingency plans or consulting industry experts to try and prepare for all possible outcomes. 3) Transfer: This approach moves the impact of the risk to an external party. For example, outsourcing the job to another agency or using a subcontractor who is more equipped. 4) Acceptance: This approach accepts the consequences of the risk if it occurs. This approach is usually followed when the cost of preventing the risk is greater than the loss itself. 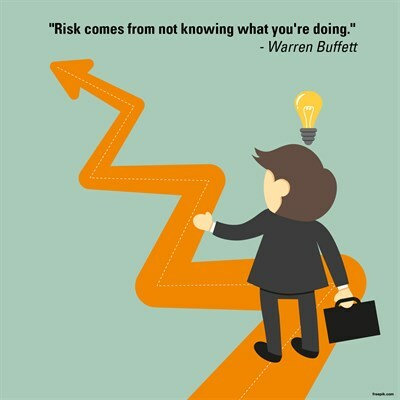 Risk management will not only help you to avoid loss, but also maximize the benefit of positive risks/opportunities as they arise. Given the importance of risk management, risk awareness is gradually increasing across organizations, and dedicated teams are assigned to design and implement risk management plans across the whole organizations, not just for specific projects, which in turn protects the organization’s success and stability. 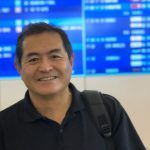 Shigeru Tsutsumi is a native Japanese speaker with 20+ year’s extensive experience in the translation & localization industry. He has held a variety of language, technology and management positions including managing director japan, business development manager, translator, software localization specialist, QA lead, and senior localization project manager with firms including Cisco, Intel, Linguistic Systems, The Big Word and Welocalize. SEPARATOR He is a Washington State University alumni and graduated with a degree in Business Administration. He has spent many years in the Pacific Northwest (USA) and has traveled and worked throughout Europe and Japan. He has a comprehensive awareness, understanding and respect of global business practices between US and Japan, as well as many other countries. SEPARATOR He enjoys spending time with his family both in the USA and Japan as well as reading, cooking, traveling, running, working out, snow skiing and playing Rugby.